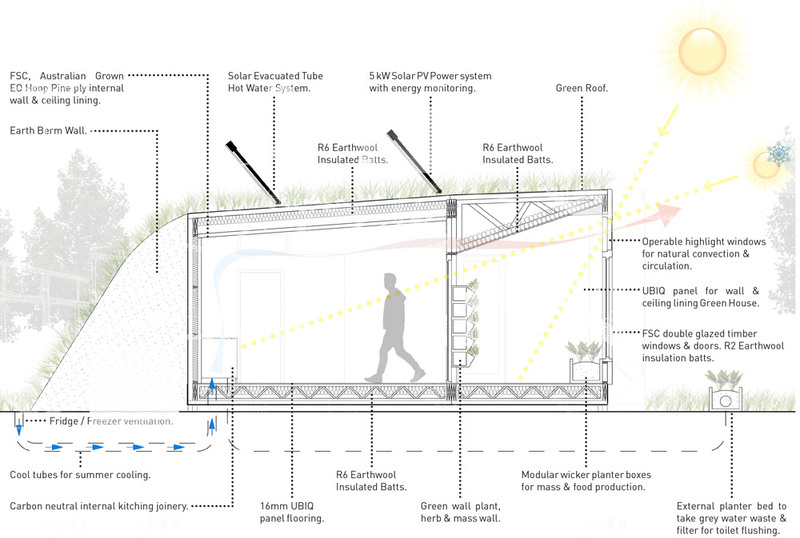 A house that produces more energy than it uses? A house that would generate the same environmental benefit as 6095 trees in its life time? Is this a storyline to a futuristic movie starring Will Smith? This is exactly what the folks at ArchiBlox did when they created their Carbon Positive modular homes. Not only do these homes emit zero carbon emission, they are actually designed to make additional “positive” contributions to the environment by producing more energy on site than the building requires. The revolutionary design incorporates smart designs like in-ground cooling tubes to help with cooling the house naturally. Sliding edible garden walls are not only a beautiful feature to the home but offer insulation functionality by blocking sun penetration. Meanwhile the green roof, made from grass naturally adds thermal insulation to the home. And that’s just some of the eco-friendly, smart features that comes with every home. 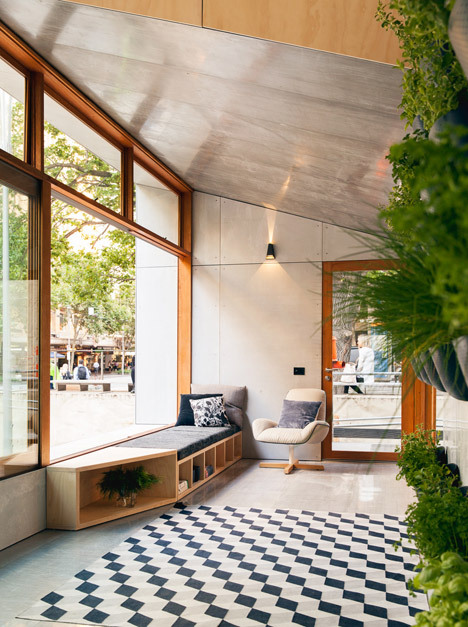 If you’ve always been passionate about reducing your carbon emission and ways to live sustainably, we can’t think of a better way to start than with these intelligent, functional and beautiful carbon positive homes. 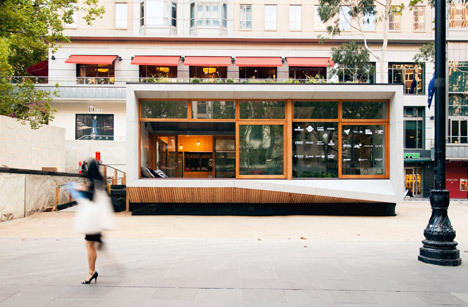 To see more images of the pop up installation that is now set up in Melbourne’s City Square, visit Dezeen. Otherwise, visit the folks at ArchiBlox to find out more about the clever work they’re doing with eco-sustainable building designs and practices. Speaking of eco-sustainable solutions, make sure you check out these lovely handmade furniture we’ve recently designed and added to our online store! 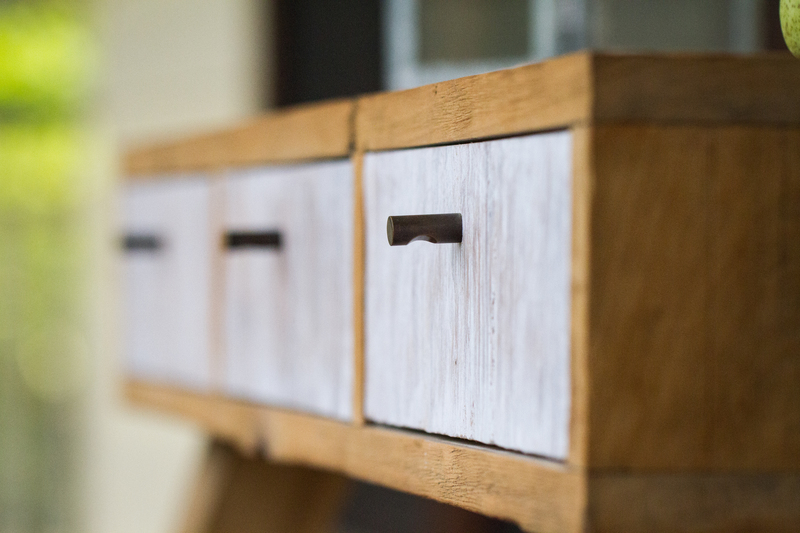 Lovingly handmade from recycled solid timber that we salvaged from old Queenslander houses, these pieces are a part of our “Once Upon A Queenslander” collection. A collection that looks to give a second lease of life to an important historical feature of Australia’s lifestyle and culture.